Tig gas lens kits to suit a number of tig torches are now available from the online welding store. We have introduced two new kits that cater to users of WP SR #17, #18, #26 tig torch heads and also #9, #20 heads. 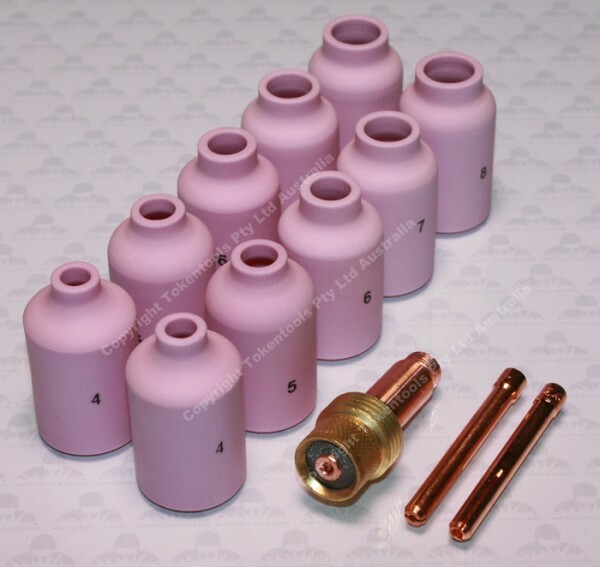 Included with each is a set of ceramic tig torch nozzles in sizes 4,5,6,7,8 and collets. The gas savers are priced at $25 and $29 respectively these kits represent excellent value .